Doubling as both a party favor and a precaution against spills for your carnival party, these red and white striped big top cups are sensational. Let the kids take them home when the juice and cookies are done. 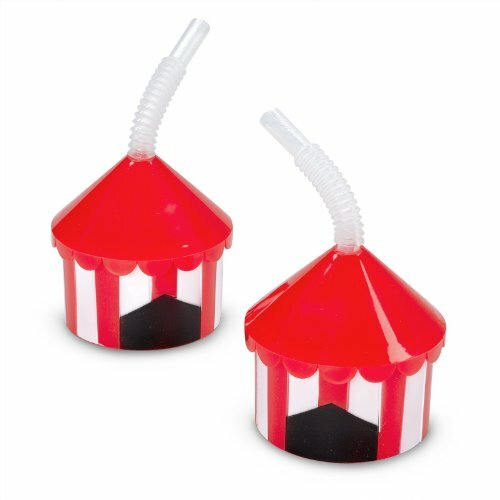 Our tent-shaped big top cups with straws are perfect party supplies for your carnival! Serve young party guests refreshments in these take-home plastic cups for the perfect way to sip during your celebration.